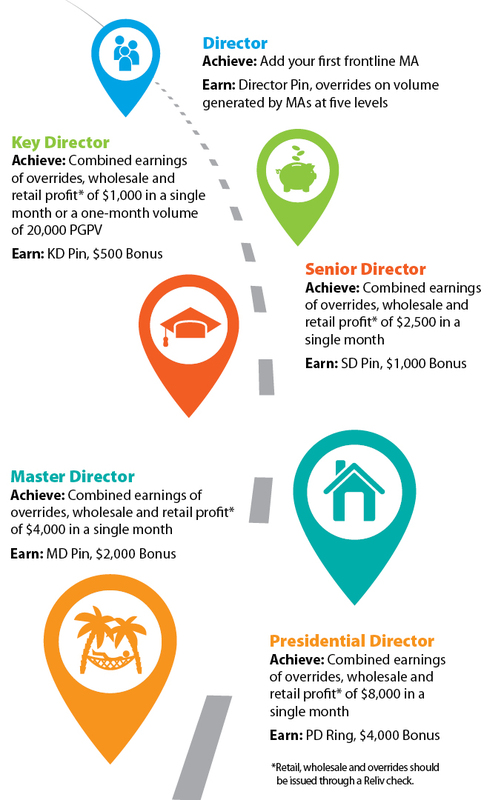 The Road to Presidential Director is your path to financial freedom. Presidential Director represents a solid six-figure income and the chance to live life on your own terms. And each stop along the Road to PD offers its own benefits — you get rewarded as you build your future! Achieve Master Affiliate (MA) status. Locate where you are on the Road to PD below. There's more: Discover Reliv's Ambassador Program and Star Director Bonus﻿.